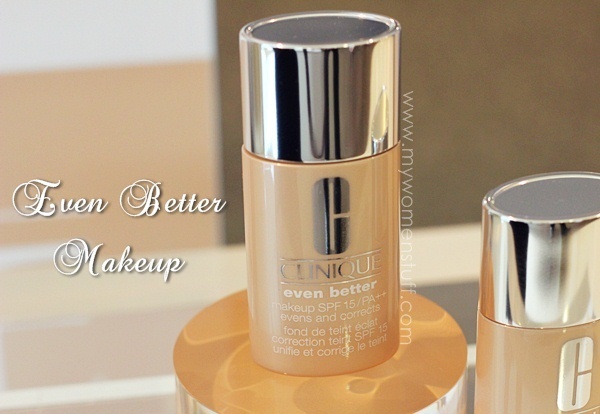 The Clinique Even Better Makeup liquid foundation is a blend of makeup and skincare, in that the silky foundation contains ingredients to improve skin clarity, reduce discolourations and give a more even skintone overall. But you know what? I expect the last 2 from any liquid foundation, not just Even Better Makeup but it does give skin a brighter look that I quite like. At a glance, the texture of the liquid foundation is light, and it spreads very easily. You can use a brush (as suggested by the Clinique makeup artist) or your fingers, which is what I prefer. Although very light in texture and feel, the coverage is surprisingly quite good, especially for redness on skin. I will be bringing you a more in depth review in time to come. PREVIOUS POST: Estée Lauder CyberWhite Brilliant Cells Night Cream : A brightening moisture cream that’s so brilliant I use it in the day too! Wow sounds like its a great product! Can’t wait for your full blown review! Paris, would you know what are the best anti-shine/oil control products out there? I’ve always liked clinique’s foundations because they always give a good coverage, colour matches well with skin tone and prices so reasonable. But lately their liquid foundation makes my skin look so oily and I have yet to try anything other than their mineral powder foundation (which i love!). It’s so timely you roll out this post! I went to the Clinique counter 2 weeks ago asking for this foundation, and she just called me 2 days ago to tell me it was available. I tried out the shades, Fresh Beige & Ivory, and she matched me to Ivory because it’s warmer of the two. I still remember your tweet… LOL! So true!! LOL! Yep! We are clearly in the same skintone range, but with markedly cool tones at my end and warm at yours 😉 Did you pick it up and have you tried it? Do see if you can get a sample from the counters – can’t promise though 🙂 This is the first time I’m trying their foundation and I quite like this compared to their earlier versions which I found too heavy and oily. Hi paris! I was given d sample of dis foundation, and i was matched to the color 66.i donno why the SA wrote the numbers on the tube,not the real name. For me, dis foundation is not for those with oily skin. 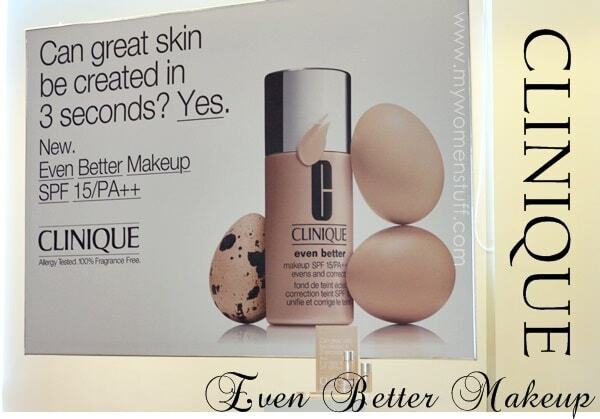 It has medium coverage, blendable, and if u like estee double wear or revlon colorstay u’d probably hate dis one. In addition to dat,if u like estee lauder nutritious , u’d probably like dis one.It’s quite cheap compared to others,rm115.it doesnt hv any fragrance too. I probably wont purchase dis by the way. Just when my Chanel Vitalumiere Aqua foundation’s running out!! I’ve been eyeing either the Diorskin Forever Foundation or the Shiseido Perfect Refining Foundation but both costs more than this Clinique one! I’ve tried their Superbalanced foundation but even their lightest shade was too dark for my skin tone… Since our colouring’s pretty similar I may just check this out! =D Thanks for the heads up, Paris! Do you know if Clinique is giving out samples for this foundie? I getting a bit sick of my skin79 oriental BB cream. It makes dry skin stand out in a bad way. Looking for a moisturizing alternative. I quite love it! I’m from the states, Socal to be exact, and I’ve had it for a while now. It gives quite a bit of coverage (medium – full) and is very, very buildable. The price for the Even Better Makeup is in the post and the review on Even Better Makeup is here. For the Even Better serum its here.